O revanchismo de Trump é desmedido. Trump tem uma necessidade patológica de desfazer tudo o que Obama fez. Não, não senhores e senhoras que acham gracinha ao monstro, não é política nem, muito menos, ideologia, é revanchismo puro, nado e alimentado no âmago que uma maldade profunda que toca as raias da sociopatía. Trump não governa a "fazer" mas a "desfazer", é uma metodologia eficaz. Agora chegou a vez do Acordo com o Irão. Surpresa? Nenhuma. Este último fim de semana ouvi uma das mais importantes entrevistas sobre o assunto - a quebra do Acordo com o Irão - se não a mais importante, não só pela opinião expressa mas, sobretudo se considerarmos quem a expressou e de onde vem. O General Danny Yatom é um antigo director da Mossad; se mais não houvesse isto bastaria. Mas mais há. O General Yatom foi entrevistado pelo impecável, e não sectário, Fareed Zakaria este fim de semana. Esta entrevista só teve um defeito, foi curta para o desejável. Sem comentários deixo o vídeo e a transcrição com alguns "negros" que sublinhei. General Danny Yatom. He is a former head of Mossad, the Israeli intelligence agency, and now a member of an organization of top Israeli retired generals who are concerned about the future of that nation. It is called Commanders for Israel's Security. General Yatom, a pleasure to have you on. - GEN. YATOM, FORMER MOSSAD DIRECTOR: Thank you very much, Mr. Zakaria. - YATOM: In the university. ZAKARIA: You are perfectly qualified to tell me what to think of Bibi Netanyahu's presentation about the Iranian nuclear program. - YATOM: I think that we have to be honest and say that we the Israelis, and not only us, but also the Americans, those who are inside the issues, we did not see or hear anything else. We knew that the Iranians are cheating, we knew that the Iranians are lying, we knew that they had military nuclear program. We knew that they hide it. 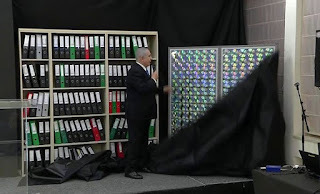 But it is good for those that did not believe the Mossad and the others that the Iranians had it because look, until today even after the presentation of Mr. Netanyahu, the Iranians say, no, we have never had a nuclear program for military purposes. - ZAKARIA: Now since 2015 when the Iranians signed the nuclear deal, the IAEA which has inspectors and cameras says they have abided by it, U.S. intelligence confirms that. European intelligence -- is it your understanding that Israeli intelligence also believes that since 2015, since the signing of the deal, Iran has abided by the terms of the deal? - YATOM: I think that the answer is yes. But with some suspicions. Meaning, we did not find any evidence that Iran breached the deal but there were some information entered about the cooperation between North Korea and Iran. And when you ask yourself what kind of corporation it can be or it could be, the only corporation is either corporation in the field of nuclear capabilities and especially for military purposes. - ZAKARIA: What would your advice to President Trump be on -- for his decision on May 12th? Should he adhere to the deal or should he withdraw? YATOM: I think that he should adhere to the deal. And I think that this is mainly -- even though I agree there are many, many holes in the deal. But this is the opportunity. 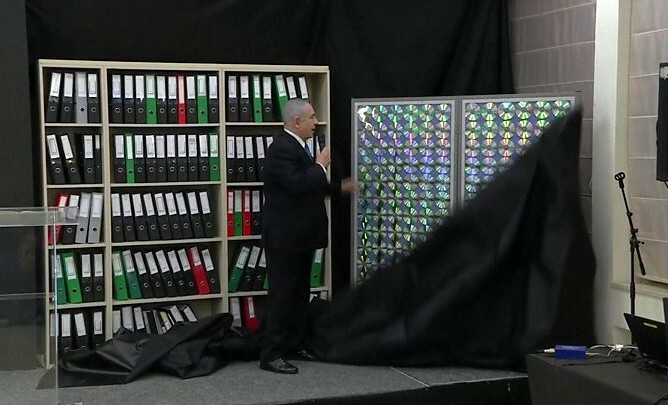 And also after what was revealed by us, about all those documents, this is a very good opportunity to come to the Iranians and to say, hey, look what we have found. We now have to make amendments and corrections in the deal. - ZAKARIA: If the United States walks away from the deal and Iran in response says then we don't have to adhere to the deal, isn't that a worse situation for Israel because now Iran is free to pursue any kind of nuclear program it wants. YATOM: You are 100 percent right. It is worse situation. If the agreement collapses due to the withdrawal of the United States and immediately withdrawal of Iran, it will be the collapse of the agreement. And instead of being in an ordinary place we'll be in a jungle because everybody will do whatever he understands. And the Iranians might come back immediately to where they were left before the agreement. And this is to continue and to enrich uranium in order to achieve in something like a year a nuclear bomb. - ZAKARIA: Let me ask you about another issue that is very close to your heart. You are part of this group of almost 300 Israeli generals, former generals from Mossad, from Shin Bet, from the armed forces. Why have you gotten together? What is the driving passion here? - YATOM: We have many concerns about the future of the state of Israel. We want the state of Israel to exist forever as the only Jewish and democratic state. Now between the sea and the Jordan River, there are approximately half Jews and half Palestinians. If there will not be a two-state solution that we are promoting and the prime minister does not promote and his government does not promote, we might find ourselves in a much worse situation where the world will come to rivals and say, you know what, we are fed of this struggle. 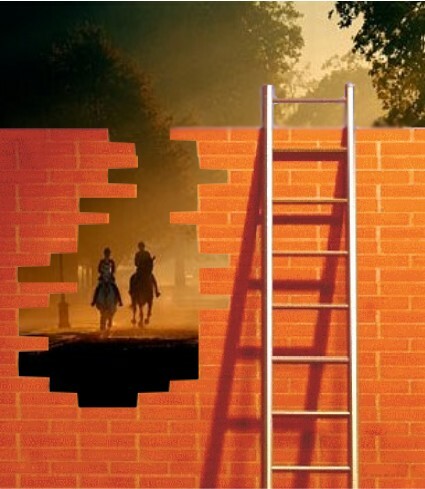 You cannot find a way to live together side by side, let's have one state. Once there is a one state to the two peoples, it means the end of the state of Israel as a Jewish and democratic state because you can't preserve Israel as Jewish and democratic only if under your sovereignty the majority of the population is Jewish. And between the Jordan and the sea, this is not the situation even not today. So it is the destruction of the state of Israel. ZAKARIA: General, pleasure to have you on. YATOM: Thank you very much, Mr. Zakaria.